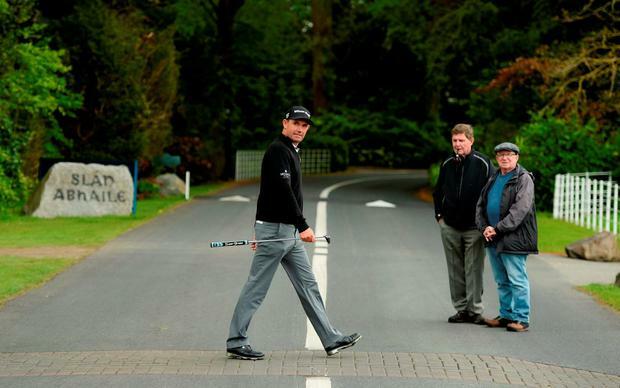 The greens of the K Club are littered with celebs as a star studded pro-am gets under way at the famous course. 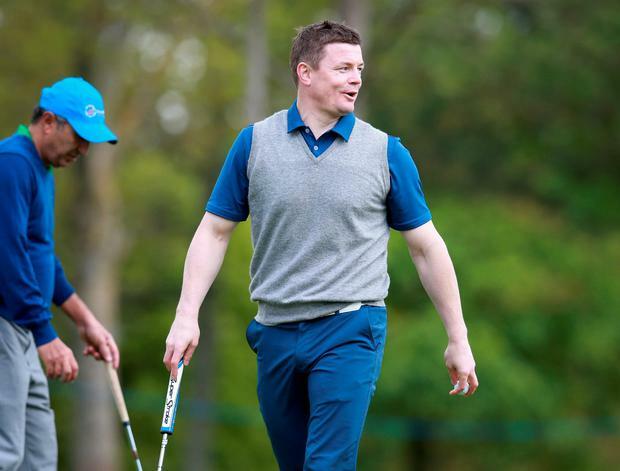 Rugby star Brian O’Driscoll is enjoying a round with Austrian pro Bernd Wiesberger. Looking every inch the golfer the former Ireland captain was cheered on at the 15th hole by a crowd of primary school children. The former rugby international may be enjoying his retirement since hanging up his boots but it’s not all rounds of golf with famous faces for the Dubliner. “People don’t see all the hard work it takes to get a day off,” he joked adding that people only see the good stuff. Despite his famous competitive nature BOD doesn’t have his eye on the competition today declaring that he “is only out to beat myself and it’s not hard”. Northern Irish golfer Tom McKibbin, the 13-year-old wonder-kid handpicked by Rory McIlroy to play the tournament teed off early this morning with Swedish pro David Ligmerth and snooker legend Dennis Taylor. A host of well-known faces have already teed off in the Straffan club including Prince Albert of Monaco. Businessman Michael Smurfit Junior is joined by former rugby player Keith Woods. McIlroy – the star attraction for many -- will tee off shortly with JP McManus and AP McCoy on his team. One Direction’s Niall Horan will also take to the greens today – putting his time away from the band to good use. The singer has been warming up on the driving range ahead of his start time. Three year old Sevie Trowlen from Co Antrim hits a few balls in the driving range before the Pro Am at the Dubai Duty Free Irish Open hosted by The Rory Foundation at the K Club. Niall Horan, Paul McGinley and Thongchai Jaidee. Picture Credit: Frank Mc Grath. Niall Horan on the driving range. Picture Credit: Frank Mc Grath.